I don't do 'sit!' I don't do 'stay!' But I will love you anyway. From the celebrated creators of Kipper, Wibbly Pig, and Zoe and Beans comes a picture book to treasure. Dog is very badly behaved - he destroys everything, chases cars and won't stop running away! But when he finds himself lost and alone there is one person he can count on. 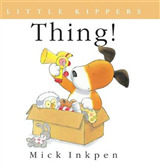 Praise for Mick Inkpen: 'You simply cannot fail to win smiles with a new book about Kipper.' Daily Mail 'The charmingly comical Inkpen, as always, hits the spot.' Guardian Praise for Zoe and Beans: 'These books will become well-loved members of any child's book collection.' Carousel For activities, competitions and other fun stuff check out www.chloeinkpen.com Mick Inkpen has been a bestselling children's author for over 25 years. 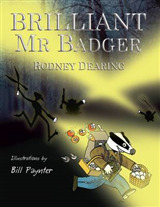 He is one of today's most popular picture book author/illustrators and the famous creator of both Kipper and Wibbly Pig. 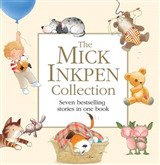 Mick has won the Children's Book Award for Threadbear and the British Book Award twice, for Penguin Small and Lullabyhullaballoo. 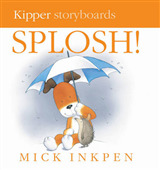 Kipper won a BAFTA for Best Animated Film. It wasn't until Mick became a father that he began his career in children's books. Now father and daughter have come together for a unique and exciting picture book partnership. Chloe Inkpen grew up surrounded by picture books and has a natural gift for storytelling. A love of language and art saw her swap an English degree course at Nottingham University for a degree in Illustration at the Glasgow School of Art. In her final year Chloe was awarded second place in the Macmillan Prize for Illustration.  Chloe's events in schools, libraries and festivals across the UK regularly receive glowing reviews. 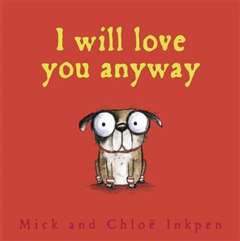 Mick and Chloe are the co-creators of Hole in the Zoo, the Fred series and the Zoe and Beans series.